Mom's Makin' Cookies ice cream is back at Baskin-Robbins as their May 2017 Flavor of the Month. 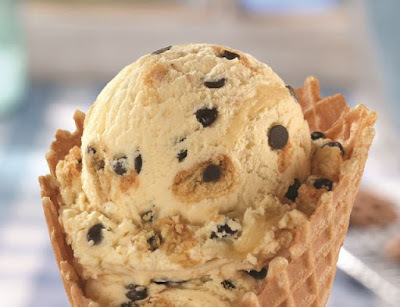 The limited-time flavor is basically a different take on chocolate chip cookie dough ice cream and features brown-sugar-flavored ice cream with chocolate chip cookie pieces, chocolate-flavored chips, and a cookie-dough-batter-flavored ribbon. The ice cream chain also have two Mother's Day-themed cakes in the rotation: the new Polka Dot Cake and the returning Elegant Rosette Cake. The first features a polka dotted surface while the second features a cascade of frosting roses.